The color of the night is black and Allison Williams was one of the first to kick things off at the 75th Annual Golden Globe Awards this evening(January 7th) at the Beverly Hilton in Beverly Hills, CA. 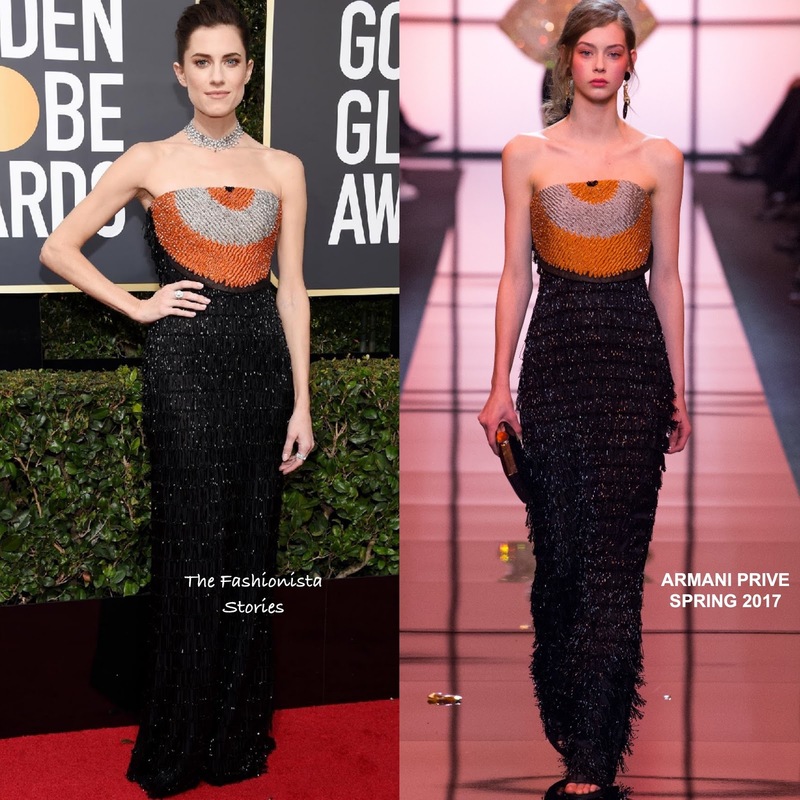 Allison hit the red carpet wearing a ARMANI PRIVE SPRING 2017 black strapless beaded floor sweeping gown which featured a contrasting silver & orange beaded bodice. I like that while playing off of the night's theme, her gown featured a pop of color. Accessorized with FOREVERMARK jewelry, she finished up her look with a complimentary up-do and smokey eyes.